Under the Resource Conservation and Recovery Act (RCRA), one of the criteria for a material to be classified as a RCRA solid waste is that it must be “discarded”. Only RCRA solid waste can become hazardous waste. On October 30, 2008, EPA finalized a new definition of solid waste. It states in 40 CFR 261.2(a)(2)(ii) that a hazardous secondary material that is being generated and reclaimed “under the control of the generator” is not considered to be a discarded material. Therefore it is not a RCRA solid waste and cannot become a hazardous waste. This final rule became effective on December 29, 2008. 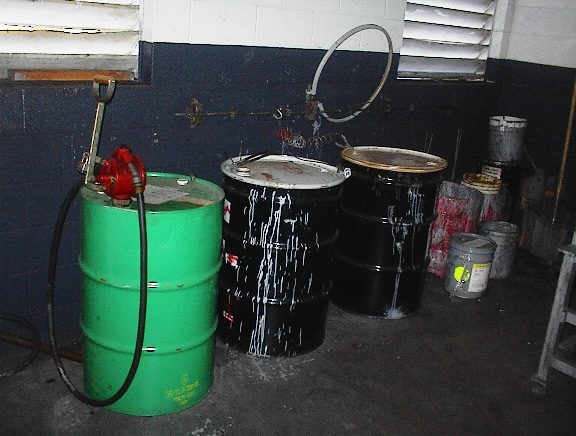 What that means is that – under federal rule – if you have a spent solvent that you are reclaiming on-site through the use of a distillation unit, the spent solvent (a hazardous secondary material – ignitable) does not need to be managed as a hazardous waste while waiting to be reclaimed. It is important to note that this new rule does not take effect in RCRA-authorized states unless and until the states adopt it. So check with your state agency. The answer to the first question hinges on the issue of point of generation (POG). A material becomes a waste when the owner or operator decides that it cannot be used for its original intended purpose. A good example would be a can of paint. As long as there is a legitimate use for the paint and the paint is still usable as a paint, it is not a waste. So if you can find some one to use the paint in a legitmate manner, you won’t have to worry about it. But if you decide that you want to dispose of it, it becomes a waste. Another example would be a jar of pure chemical on your laboratory shelf. If the shell life of that chemical has been exceeded (it cannot be used for its original intended purpose), it becomes a waste. Another example: You may have a very hazardous chemical in a chemical reactor where you are brewing your product, you do not have a waste as long as that hazardous chemical stays inside the reactor as part of your manufacturing process. But once you take that hazardous chemical out of the reactor and you have no further use for it, you will have generated a waste at that point. That’s you POG. Once you have a waste, then you have to determine if it is hazardous. Does it exhibit any of the four hazardous waste characteristics (ignitability, corrosivity, reactivity and toxicity)? Has the waste been listed by EPA? Federal regulation 40 CFR 265.16(c) requires “facility personnel must take part in an annual review of the initial training”. Does it mean that your employees must do the annual review (or refresher) every 12 months? What if you are a large company with thousands of employees that require such “annual” review? Is there some flexibility? Pratt and Whitney was such a company. 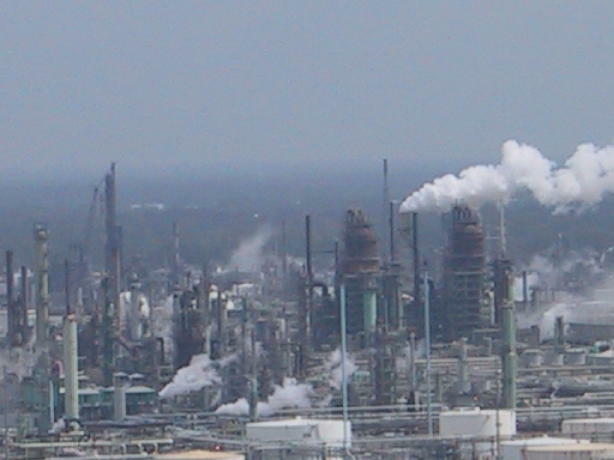 It had established a RCRA training program for over 15,000 employees. It required each employee to get the annual review within a 90-day period before his anniversary date. That means the longest possible time period between training would be one year plus 90 days (15 months). On May 21, 1997, the company wrote to EPA to seek gudiance and concurrence that such training schedule would satisfy EPA’s “annual review” requirement. The agency wrote back and told the company that since each employee would receive 4 annual reviews over a 4-year period, the training schedule met the requirements under 40 CFR 265.16(c). The memo from EPA is on file at RCRA Online. While giving the company its concurance, EPA went on to caution the company to check with state agencies since some of them may have a different interpretation of “annual review”. Federal regulations require you to train your employees in accordance with their specific job function. Make sure you clearly define these job responsibilities in the employees’ job description. 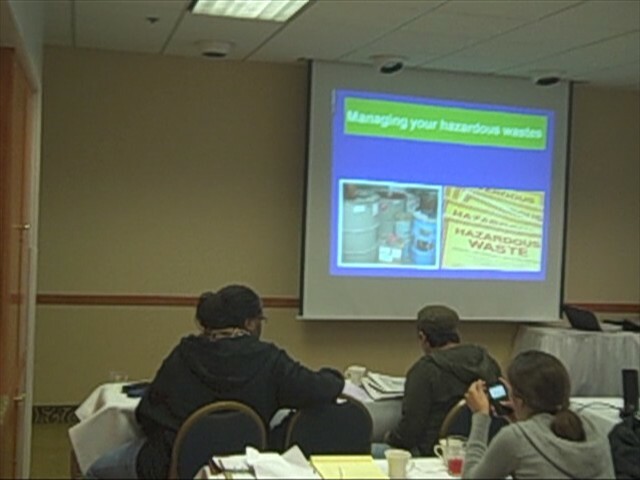 New employees must receive training within 6 months and they cannot work with hazardous wastes unsupervised before receiving their initial training. All employees handling hazardous wastes must also receive annual refresher. The regulations do not specify the training content or the duration of training. However, 40 CFR 265.16(a)(2) requires you to provide training on waste management procedures and emergency response. Anyone who works in or adjacent to areas where hazardous wastes are generatted, handled or stored must still be trained to be familiar with basic emergency procedures. 40 CFR 265.16(e) requires you to keep the training records for at least 3 years from the time an employee last worked at the facility. If your company is thinkingof leasing a facility, you should always do a baseline environmental audit of the place. What you want to do is to identify any pre-existing environmental contamination at the site before you occupy it. There are many consultants who are qualified to do Phase I and Phase II environmental assessment. Once you have identified any pre-existing contamination, you include the findings in your lease so that when you return the site to the landlord, you will only need to return it at the baseline condition. This is the best (and possibly) only defense you have against a landlord who falsely claims that the property (previously contaminated by the tenant before you) you have been occupying for the past ten years was pristine when you moved in. That’s what happened to a large corporation in California. It moved into a facility without doing a baseline environmental assessment. The manager there was trying to save $20,000. When it completed its lease ten years later, the landlord claimed that the company had contaminated his pristine property and demanded that it be cleaned up. As it turned, it was a previous tenant that had dumped toxic solvents into an underground tank that subsequently leaked. Without the defense of a baseline assessment, the company had to remove the leaking underground storage tank and clean up the soil contamination. It also had to remove some asbestos containing material from the site. The total cleanup cost to the company was close to $600,000. All of this could have been avoided if the company had spent $20,000 ten years earlier. That was one happy landlord. 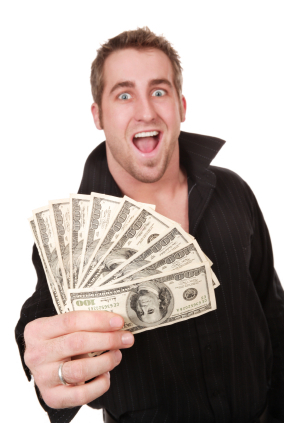 He saved $600,000! Do you have an environmental topic that you would like me to discuss here? Are you looking for a solution to an environmental issue at your facility? You can post a question/comment here or email me in private. If we post your issue here, it will be in a generic form. Your identity will not be revealed without your permission.